Monday 9 November was the 20th anniversary of the Fall of the Berlin Wall, the outstanding event in the wave of changes which swept Eastern Europe in 1989, and which triggered the collapse of Communism and the ending of the Cold War. To mark the anniversary, RTÉ Europe Correspondent Tony Connelly embarked on a train journey through the key capitals of the old Eastern Europe to recall the spectacular changes of 1989 and to reflect on what independence means to the people of Hungary, the Czech Republic, Poland and Germany. Apart from the different language on the road-signs there’s very little to announce that you’ve left Austria and crossed into Hungary. The motorways are just as good, bright and brash billboards elbow their way into the driver’s eyeline and smart, low-rise commercial units appear here and there. So it takes some effort to remind myself that I’ve just crossed what was once the Iron Curtain, the most heavily guarded frontier Europe had ever known, and the symbolic interface between two superpowers that had furiously eyeballed each other for more than half a century. I’m in Sopron, a small town on the border. In August 1989 events were to unfold here which both prefigured and perhaps even triggered, or at least accelerated, the collapse of the Berlin Wall. The Hungarian-Austrian border is 350km long. During the Cold War it bristled with 1,600 armed border guards and land mines. Between 1966 and 1971 the Iron Curtain was reinforced by an electric fence. 'There was an order that if someone tried to cross and if they didn’t stop the guard had to shoot,' says Bella Arpad, a 64-year-old former border guard who has met me at the exact spot where the events of 1989 took place. But with the arrival of Mikhael Gorbachev and his reforming ways in Moscow the government in Budapest held its breath and made tiny adjustments to the way the border was maintained, even de-activating the electric fence. By the 1980s Hungary had developed what was known as Goulash Communism, a looser version of the hardline Marxist-Leninist doctrine inculcated by the Kremlin during the long years of Stalin, Kruschev and Brezhnev. In this climate the authorities in Budapest felt they could make small steps, but no-one had any inkling about the spectacular events that were to follow. 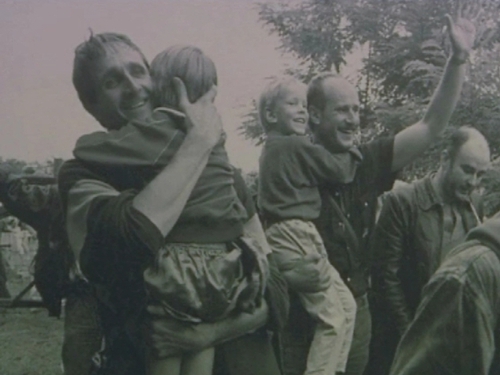 As the border changes continued in 1989, a group of dissidents organised what they called the Pan-European Picnic next to one of the border crossings on the Iron Curtain. It occurred while official contacts between Budapest (still a communist regime) and the Austrian government on the other side of the Iron Curtain. One of those who helped organise the picnic was Magas László. News of the changes reached the more repressive regime of East Germany. Citizens there could travel to Hungary since it was another Warsaw Pact country. Soon they were pouring in, many taking refuge in the West German embassy. As word about the picnic on the border spread, hundreds of East Germans made the journey to the frontier, desperately hoping they might somehow make it across to Austria, a flight from totalitarian repression hitherto unimaginable. On August 19 Bella Arpad, who was in charge of one of the border guard units, was aware that a number of regime-approved events would take place that afternoon – an official delegation crossing to Austria and coming back with an official Austrian group, and so on. But what he encountered on the road took him utterly by surprise. 'There were 650 East Germans all moving towards our border post. I felt annoyed that our bosses hadn’t warned us and hadn’t given us any direction as to what we should do,” Bella recalls. Bella made a split second decision, arguably one which changed the course of history. He decided not to stand in the way of the crowd as they approached the locked gate on the narrow country lane which ran into Austria. The crowd surged forward, the lock was broken, and they poured into Austria. As their feet touched the west and freedom for the first time many wept, others embraced and punched the air. The significance was not lost on the chosen few: the Iron Curtain had been torn open, all thanks to the decision of one man who could have stood firm. In days, more and more East Germans arrived and by then the authorities realised the genie couldn’t be put back in the bottle. As they and their Hungarian counterparts drove their sputtering Trabants into Austria, the images were picked up in east Berlin. There the stirrings against the communist regime rose to fever pitch, and the clamour to make a similar breach in the Berlin Wall became unstoppable. 'Don’t Mention The Wars: A Journey Through European Steretoypes,' by Tony Connelly is published this month by New Island Books.